Select Diameter 1/2" 3/4" 1" 1-1/4" 1-1/2" 2" 3"
1/2" HS4-050 0.47" 0.118" 0.043"
3/4" HS4-075 0.75" 0.188" 0.051"
1" HS4-125 1.26" 0.32" 0.059"
1-1/4" HS4-125 1.26" 0.32" 0.059"
1-1/2" HS4-150 1.50" 0.37" 0.059"
2" HS4-200 2.00" 0.50" 0.045"
3" HS4-300 3.00" 0.81" 0.045"
Our 4:1 over-expanded flexible, flame-retardant polyolefin heat shrink tubing is used for special circumstances such as cable jacket retrofitting or repair, and electrical insulation of wire assemblies with oversize components or connectors. The over-expanded product configuration easily fits over the end of a connector, and shrinks down to 1/4 of its original diameter to fit snugly over the wires. 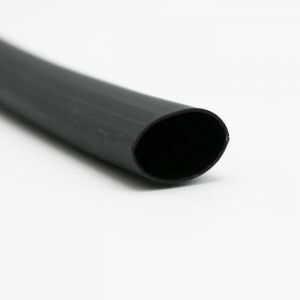 Our tubing is available in 4-foot sections and meets requirements of AMS-DTL-23053/5 (formerly MIL-I-23053/5), Class 1 UL 224 VW-1 and CSA OFT recognized. Crosses to Sumitomo B2(4X), Raychem RP-4800, Alpha FIT-421, LG GSHS-4635. 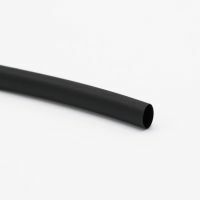 Polyolefin heat shrink tubing is a general, flexible heat shrink tubing which can be used for a wide range of applications, including military and professional electronics. 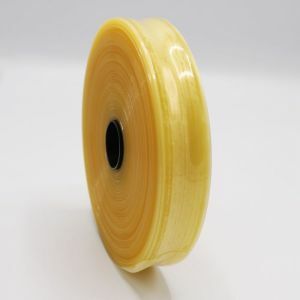 Standard applications are insulation, wire Identification, wire bundling, mechanical protection, color coding, lightweight harnessing, physical and electrical protection of components, strain relief, and solder insulation.